Exercise rider is Rosie Napravnik, 2 time KY Oaks winning jockey and wife of Girvin’s trainer, Joe Sharp. This will be Joe’s first KY Derby. Girvin’s jockey is Mike Smith, winner of the 2005 KY Derby on Giacomo. Girvin is the 1st graded stakes winner for owner Brad Grady. Named after a remote town in west Texas. Two outstanding performances at Fair Grounds have propelled Girvin into the top echelon of chances for the 2017 Kentucky Derby. 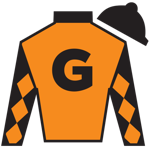 Trained by Joe Sharp, Girvin won his debut Dec. 16 at Fair Grounds, before being switched to turf for the Keith Gee Memorial Overnight Stakes Feb. 4, where he finished second. 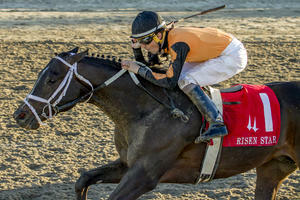 Girvin then joined the Kentucky Derby trail in the Risen Star Stakes (G2), where he dented a number of reputations in beating Untrapped, Local Hero, and Guest Suite. He showed it was no fluke with a similar victory over Patch and Local Hero in the Louisiana Derby (G2) April 1. Bred by Bob Austin and John Witte, Girvin was a $130,000 yearling purchase at the 2015 Fasig-Tipton October sale. He is owned by Brad Grady. 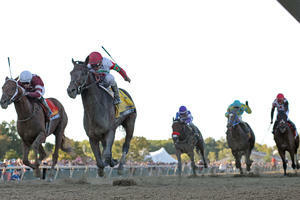 Girvin is by Tale of Ekati, a winner of the Wood Memorial (G1) and the Cigar Mile (G1). His sire was best at a mile, and there will be some doubts about his ability to stay the 1-1/4 mile Derby trip. However, his style of racing gives some confidence in his stamina. 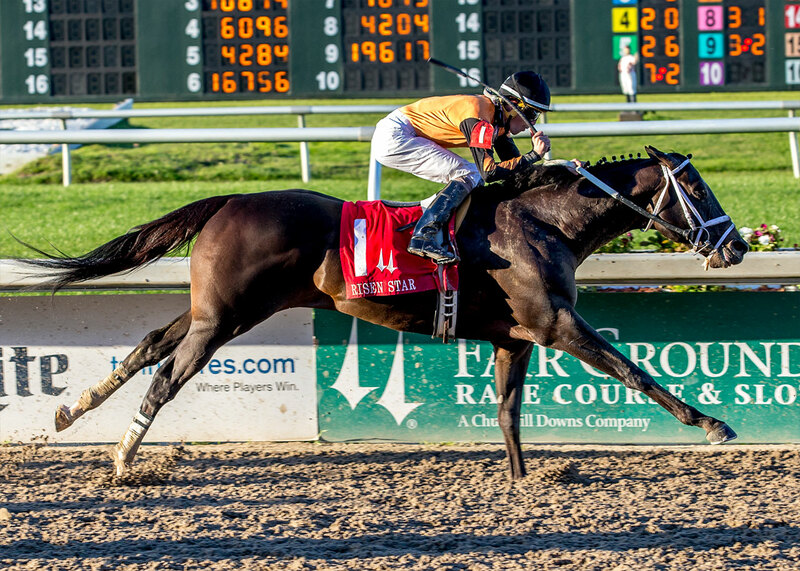 He settled just off the speed and showed a very good turn of foot to win the 1-1/16 mile Risen Star Stakes and the 1-1/8 mile Louisiana Derby, showing no sign of tiring towards the end. In addition, he showed in his first two races that he has plenty of courage. Girvin was a $17 option in Pool 4 of the Kentucky Derby Future Wager, and he should not be ignored in what looks like a wide-open Derby for punters. With a strong presence as the top Kentucky Derby points leader, he will be a betting favorite come time to enter the starting gate.